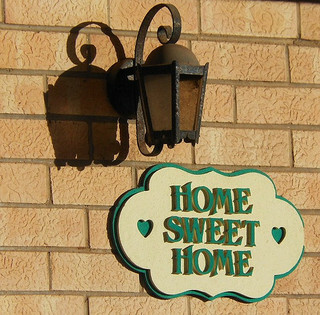 Home – a simple word representing a complex, nuanced concept. Home means much more than a physical structure, but the physical structure is often essential to the larger concept. This becomes particularly evident when a construction defect threatens a dwelling’s safety and security. In some ways, a house or condo that has a major defect is not a true home. Our Oakland construction defect attorney helps individuals and groups use California construction defects laws to hold builders and others responsible for physical defects that can turn a dream home into a nightmare dwelling. We are proud Californians and one source of pride for our San Francisco construction defects law firm are the protections state law affords to homeowners. Civil Code Section 896 provides the bulk of California’s Right to Repair Act. The Act applies to California homes/condos completed after January 1, 2003, providing a right of action for damages due to specifically enumerated defects in residential dwelling. Potential defendants include general contractors, subcontractors, architects, material manufacturers, and others involved in the home building process. Plaintiffs must engage in a pre-litigation dispute resolution procedure (Section 910) before filing suit. Other defects that impact the safety of the structure. The Act allows claims for economic damages even where actual damage has not occurred. Therefore, a defendant may be liable for repairs even before an actual problem arises. Damages include, among other elements, repair costs, temporary relocation costs, and the cost of fixing a defendant’s inadequate repair attempt. The Act is far from the only protection for California homeowners. A 2013 appellate decision clarified that the Act is not an exclusive remedy and, in cases of actual damage, a homeowner still has traditional common law claims (i.e. negligence). Contract claims may also exist and, although home warranties frequently fail to cover construction defects, a close reading is crucial. Some contracts require the claim be filed in arbitration rather than in court. While the Right to Repair Act helps to clarify this area of law, these cases are still quite complex. Claims are subject to a wide range of limitations periods providing anywhere from one to ten years to file a claim. As always, we recommend contacting counsel sooner rather than later to ensure deadlines are met and evidence is preserved. Often, expert witness testimony is often critical to proving a plaintiff’s case. Many times a defect is repeated in a number of homes rather than isolated to a single dwelling, especially where it is a design issue (vs. an error during building). Construction defect class actions allow plaintiffs to band together, strengthening a case and providing added incentive for the defendant(s) to settle. Class actions are a wonderful tool, but the process is detailed and an attorney experienced in class litigation is almost essential to success. You deserve a safe house, one you truly can call home. If you believe your Northern California home has a construction defect, even if it has not yet caused injury or property damage, call our construction defect law firm in Santa Rosa, San Francisco, and Oakland. We serve clients throughout Northern California and have experience representing plaintiffs in civil class actions. Call to arrange a consultation or to schedule a time for Attorney Brod to speak with your homeowners’ group.